I love living in southern Spain’s Andalucía in the Sierra Sur de Jaén between the cities of Jaén, Granada and Córdoba. It is an unspoilt part of the Iberian Peninsula and mi poco pueblo blanco is in the heart of Spain’s olive producing region where I am surrounded by zillions upon zillions of olive groves. I suppose if you don’t like olives and the delicious greenish golden oil they produce then this place isn’t for you. It would be dreamy of me to say that I live here alone with just my dog but I don’t. I do live here alone with my patio, roof terrace, travel wall, herb garden and Boris the spider who lives in the window between my office and patio. 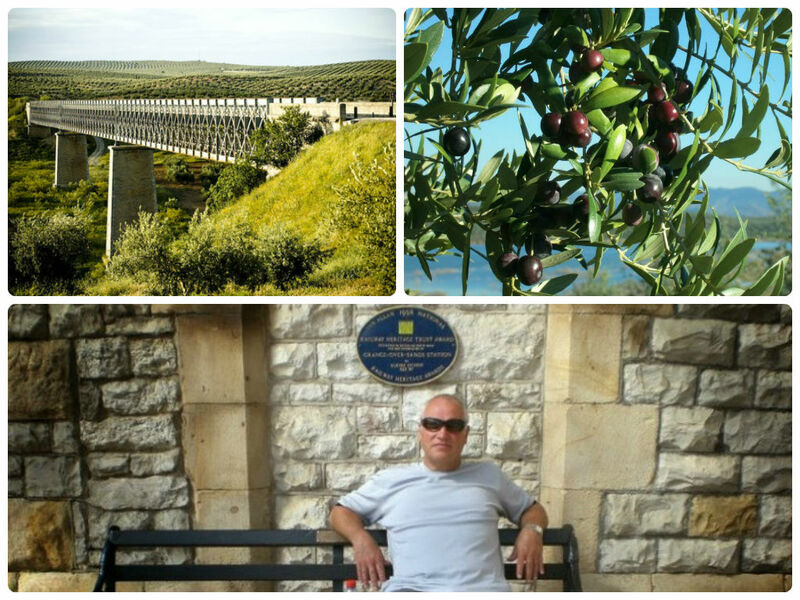 And when I am not gazing at olive trees I read, cook, listen to music and write my blog. Update 2018: OK, so after 5½ years of living in Andalucía I rescued a dog (Spanish greyhound). Her name is Issy (Isabella on Sundays) so now my walking has increased ten-fold. And we are both very happy. Woof.